Current research by scientists of the University of Pretoria’s (UP) veterinary faculty to improve wildlife immobilization drugs, calls to mind the pioneers of rhino conservation in South Africa after hunting had decimated populations in the former Zululand to less than 100 animals in 1900. They include Dr Ian Player, whose work is being carried forward by the Player Ntombela Foundation, the main beneficiary of Royal Rhino and Van Loveren Family Vineyards’ collaboration to raise funds and awareness for rhino conservation. Player, together with a host of other role players, was a driving force behind Operation Rhino in the 1960s. It involved translocating rhino from KwaZulu-Natal to start new breeding populations elsewhere. Since 1961 this operation seeded a healthy rhino population in the Kruger National Park (KNP), where they had been extinct. Enter Dr Tony Harthoorn, a veterinarian from Kenya, and a new immobilization drug that he had developed in co-operation with the pharmaceutical company Reckitt & Colman. M99, later named etorphine, was predictable and without the side-effects of previous drugs. An effective dosage rate had to be established for various animals and an antidote was also developed. It was determined that a minute amount of the active ingredient would be effective for an adult rhino weighing several tons. This drug was thousands of times more potent than morphine and made it possible to walk a rhino up a loading ramp like a tame horse. For the first time it enabled the reliable immobilization, handling, transportation and relocation of dangerous and rare animals. M99 would eventually help kick-start the development of the current multi-million rand wildlife industry. Unfortunately it is also very dangerous and could be fatal to humans. Therefore, an antidote for humans was also developed. 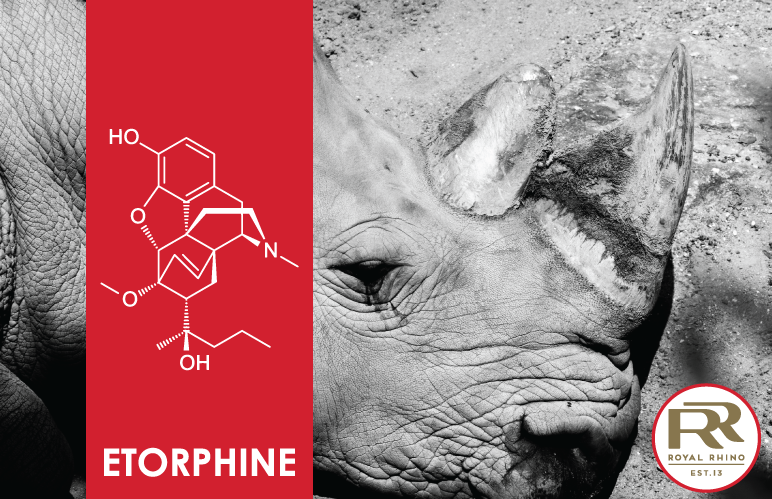 Furthermore, the same drug that had played a massive role in saving the white rhino from extinction, has been commonly used by poachers and syndicates to effect the tsunami of poaching that has engulfed our rhino populations during the past decade. Current research by UP scientists has revealed that M99 has adverse side-effects on especially white rhinos, repressing their breathing and leading to increased blood pressure and excessive trembling. The search is on for more effective drugs. With the black rhino being critically endangered (there are approximately 5 000 individuals left in the wild) and the white rhino being near-threatened, it is up to modern-day pioneers to heed their cry of despair. This will require the combined efforts of governments, law enforcement, protection units, rangers, communities, rhino champions and activists, as well as new research by scientists to ensure safer immobilization for this vulnerable species.